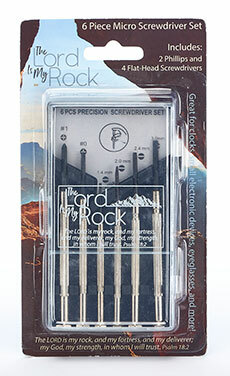 Perfect for precision jobs; eye glasses, electronics, toys, and more! 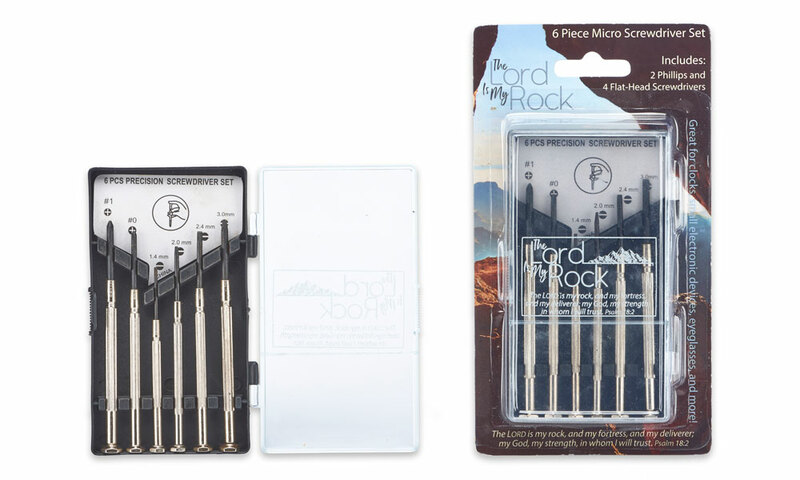 This 6-piece micro screwdriver set includes 4 flathead screwdrivers and 2 Philips. Packaged in a hard plastic case. Great for the office, at home, school, in the car. Theme Bible verse is Psalm 18:2 (KJV), The LORD is my rock, and my fortress, and my deliverer; my God, my strength, in whom I will trust. Size: 2.25 x 3.25 in.